Our organization is known as one of the leading manufacturers and suppliers of an exclusive range of Bags.We are one of the prominent manufacturer and We offer JuteBags, Cotton bags, Canvas Bags, Organza Bags, etc. Our range is manufactured using premium quality natural jute fiber. These materials are procured from the most trusted vendors of the industry. 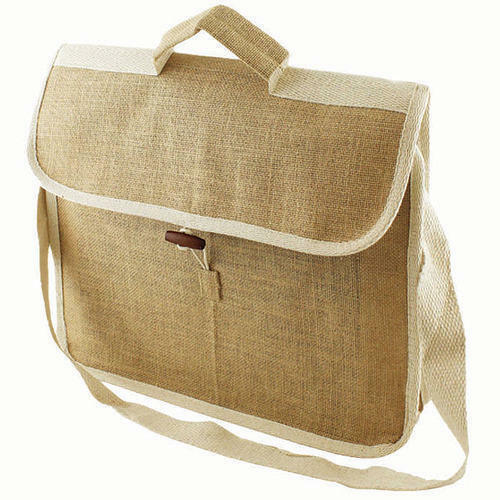 Apart from the above mentioned products we are also engaged in manufacturing an array of Jute Shopping Cord Cover Handle Bag, Hessian Cloth and Promotional Bags. We are supported by a sophisticated state-of-the-art infrastructure, which is well equipped and dedicated workforce. Besides, we are also capable of customizing our range to meet the various demands of our clients. We are currently exporting our products to Italy, Spain Middle East and U. K.